/ Is it right time to invest in the market now? This question is in complete contrast to what was being asked couple of months back, when Indian markets were at all time high. In my experience of more than 10 years in stock market now, I will stand by my statement, when you are thinking of investing you should look at the company and not at the index numbers. Now, let me delve deep into this that we are so close to other end of the spectrum. Right now, many stocks are trading at prices 40% lower than their recent highs, and we just had worst september of last 10 years. On the side note, this situations within gap of 1 months also brings out the most interesting aspect of human behaviour & investing. Retailers were not getting enough of market updates when markets were near day’s high and now they are vary of it when market is nears this years lows. From our list of invest worthy stocks, most of them are trading at 20-30% discount at their recent price high. The point being, there is no effect on their business model or market potential of their products. And if you are an investor, then this should not be cause of your concern. Unless the company is dealing with import and thus falling rupee value is going to effect the bottom line of the company, it is not under direct threat as of now. Overall market is going through correction or bear phase. The prices have risen above their value in bullish phase of the market. In both scenarios, when the price falls, it makes the investment more lucrative. Time to invest the remaining amount in that company. 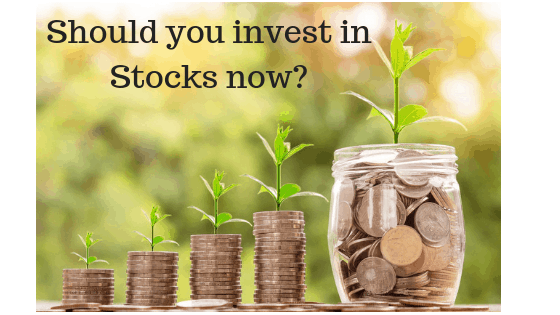 Read: How should you invest for long term? Even the best of companies go through rough phase. And it shows in their quarterly results. And short to medium term traders, use this time to bring the stock prices down to more reasonable levels. Again in this scenario, there is no problem with overall business model of the company. But, you need to keep watch on the reports, to see for the real reason of bad results. As it was your original analysis that made you invest in that stock, you need to keep an eye on your investments. Analyse the reports to see that they are aligned with the philosophy of the business of the company. My recommendation will be: Research. Chances are high that you will couple of companies which provide huge value for money opportunity at current price point. Good investments don’t announce themselves on their own. They need to be found. That takes lots of reading & analysis. About the recent price fall, it pays to be patient. If you have invested in partial form when market is high, now maybe good time invest some more in your companies. When you are investing for long term, it doesn’t mean set it and forget it. You invest and keep an eye. Without getting paranoid about every fall in price.